The HTC Vive Pre, the new moniker for the Steam-powered VR headset, has been officially updated. The second-generation device is on show over in Vegas at CES 2016. That's not as major news as it would have been around a month ago. We've already seen the revamped hardware thanks to an online leak just before Christmas. However, we now have the official details to go with the leaked images and, of course, that new name. The HTC Vive Pre, no relation to the old Palm smartphone (we hope), is now lighter and boasts a more ergonomic design. Given that we rated the original Vive dev kit as the most comfortable of the blockbuster VR headsets, that's pretty impressive. The headset now features a front facing camera situated at the rear of the face. HTC states this means more natural blending of the real and virtual environments. Think taking a seat in a virtual theatre for example. It should be more comfortable thanks to moveable foam pads on the inside and we're informed a new strap design should help with balance. We'll let you know if this is true or not soon - we're due to get our head inside the new HTC Vive Pre in the coming hours and we'll update our hands-on review. HTC hasn't given us updated specs as of yet but we're told the display brightness has been boosted with and there have been image refinements leads for improved clarity. With regards to the controllers, the clunky looking hexagons are gone, replaced with a pair of sleek looking ticks with touchpads placed at the thumbs, with triggers underneath. The new controllers are apparently smoother, with haptic feedback providing feedback from your VR experiences. There's no messing around with double AAs anymore either, an integrated lithium polymer battery gives your 4 hours of action from a full Micro USB charge. Take that Oculus Rift and your Touch controller no-show. 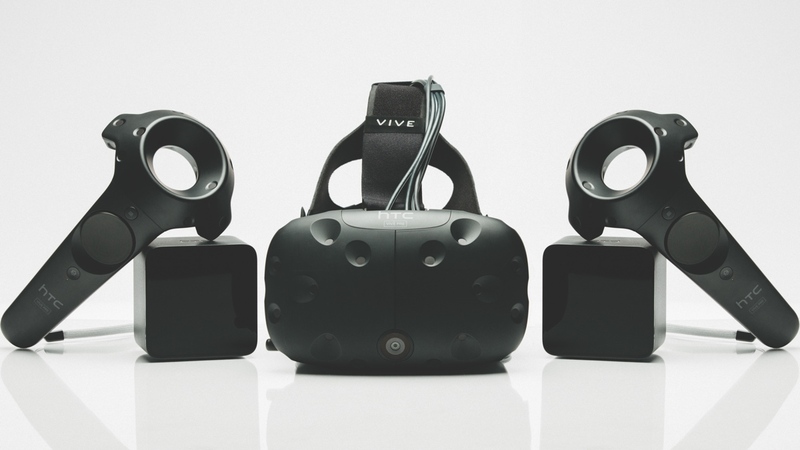 "When we first announced Vive ten months ago we had an ambitious goal of fundamentally changing the way people communicate and interact with the world - forever," said Cher Wang, chairwoman and CEO, HTC. "Today we stand on the precipice of a new era. Vive is creating a world where the only limit is human imagination." Bold claims indeed but, given we rated the Vive and its Lighthouse tech as our innovation of the year in 2015, believe us when we say this isn't hyperbole. The HTC Vive Pre consumer edition is due to launch in April. There's still no word on pricing.